The Federal Reserve helped restart the economy after the recession, but still there's more work to be done, Janet Yellen said in prepared remarks to be delivered in a confirmation hearing Thursday. "We have made good progress, but we have farther to go to regain the ground lost in the crisis and the recession," reads the statement. President Obama nominated Yellen, who currently serves as vice-chair on the Federal Reserve Board, to succeed Ben Bernanke as head of the central bank. Bernanke's second term ends January 31, and despite protests from a few Tea Party members, Yellen is largely expected to be confirmed for the position before then. 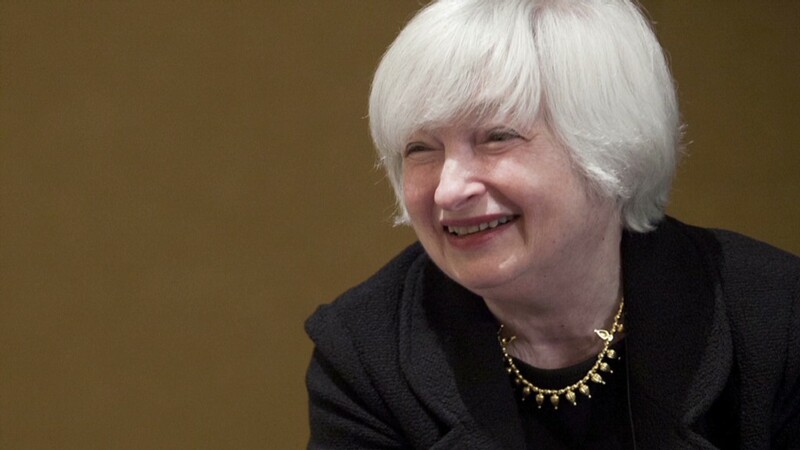 Her hearing before the Senate Banking Committee is scheduled for 10 a.m. Eastern, Thursday. Her remarks don't get into specifics about the Fed's current bond-buying program, but merely stress her commitment to "supporting the recovery," adding more openness and transparency to the Fed's communications, and promoting financial stability. The Federal Reserve has been trying to stimulate the economy since December 2008. That's when it slashed short-term interest rates to near zero and launched its first bond-buying spree, in an attempt to lower long-term rates as well. Five years later, the Fed is engaged in its third round of bond-buying, in which it purchases $85 billion each month in Treasuries and mortgage-backed securities. Yellen faces a daunting task if she's confirmed to serve as the next Federal Reserve chair: How to wean the economy off Fed stimulus at the right time. Liberal economists argue that if the Fed stops its stimulus too soon, job growth may continue at a painfully slow pace. The economy may still be too fragile to build momentum on its own. Conservatives argue, however, that the Fed has already done enough. Much of the Fed's $3 trillion in stimulus over the last five years is still sitting idle in bank reserves, and if that money ever floods into the broader economy, they say inflation could take off rapidly. Yellen tends to side with the liberals and in Fed circles, she's known as inflation "dove." Her main goal, expressed in numerous speeches, is to get Americans back to work, and in her view, the Fed still has tools to improve the unemployment rate from its current level of 7.3%. "Unemployment is down from a peak of 10%, but at 7.3% in October, it is still too high, reflecting a labor market and economy performing far short of their potential," she said in her prepared remarks.